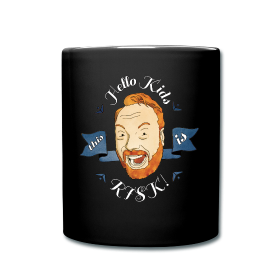 Shop | Kevin Allison Presents: RISK! Live Show & Podcast! The RISK! book will be released in summer of 2018, but you can pre-order it now by clicking the red button below. Pre-order copies for yourself and all your friends and family! SHIRTS! TOTES! MUGS! and MORE! With so many high quality items to choose from in a plethora of fantastic colors, you could easily cover every room in your house with the image of your beloved RISK! host Kevin Allison! Click HERE to see them all! In this Intro to Storytelling online video workshop taught by Kevin Allison, you’ll apply a series of practical guidelines, step-by-step, for creating unforgettable true stories of your own experience to use throughout your life. In both video lectures and workbook exercises, you’ll find the nitty-gritty tips and tools of a foolproof workshopping process you can use for crafting story after story. After taking this course, you’ll know just what to do when you notice listeners losing interest or sense that you’re veering off track. You’ll identify and explore the most affecting and fascinating moments you’ve lived through. You’ll learn how to maintain suspense and build an emotionally resonant arc. And you’ll be empowered from sharing your experience thoughtfully and with heart. Be heard, be remembered and create the change you wish to see in your communication with dynamic and entertaining storytelling. The RISK! podcast now consists of over 200 incredible episodes and we have pulled our earlier episodes to make way for more episodes to come. We wanted to give our fans access to all of our classic RISK! 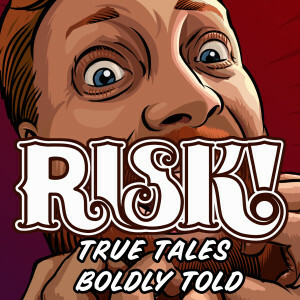 episodes, so we have remastered the earliest RISK! episodes, removed the advertisements, call outs, outdated information, cleaned up the audio wherever possible, and put them up for sale on iTunes in the Albums section for 99 cents each. We also have our All Star Episodes available for $2.99 each. 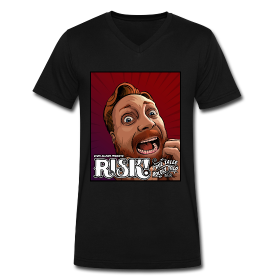 Click below to purchase classic RISK! episodes that are no longer available for free on iTunes as well as our All Star Episodes. Don’t use iTunes? To buy the episodes directly from us instead of iTunes, send us a payment for the episodes you want via PayPal.com to Kevin@risk-show.com. Tell us which episodes you want, and we’ll send you a download link! Add the four All-Star episodes to either season for only $6 more! (save another $5.96). Simply choose your episode package below to purchase via Paypal. Thank you for supporting RISK!